From June to November, the weather and water temperatures in the Galapagos get colder. Plankton starts to bloom thanks to natural upwelling currents and whale sharks come to the area to feed. This explosion of nutrients also attracts a huge diversity of fish activity making which makes whale shark diving in the Galapagos even more awesome! Located 240 miles southwest of Cabo San Lucas and often called "Mexico's Little Galapagos", Socorro Island is a great place to see a plethora of large pelagic animals. In November and December, whale sharks can often be seen, as well as giant mantas, humpback whales, and large gamefish. 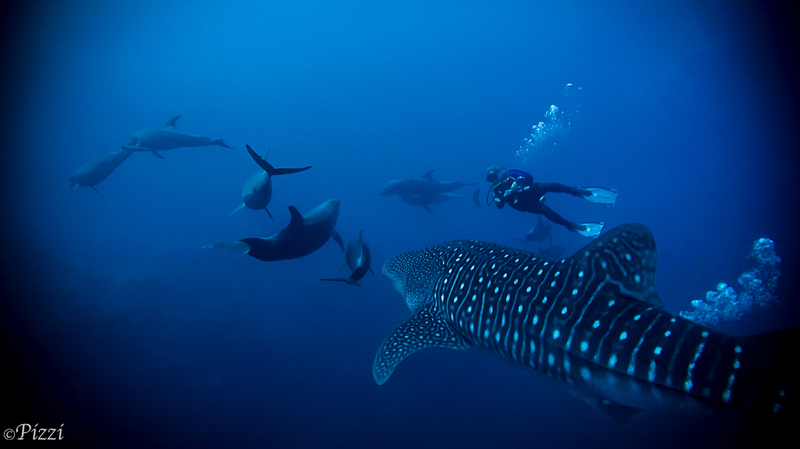 Whale sharks gather during the summer in two areas around Isla Mujeres. 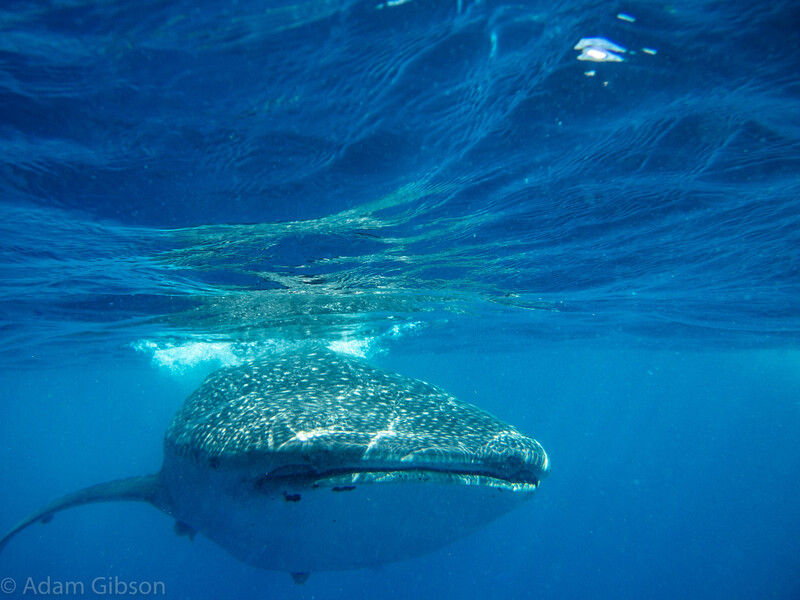 Most operators will snorkel off Isla Holbox, where the whale sharks gather to feed on plankton and krill. 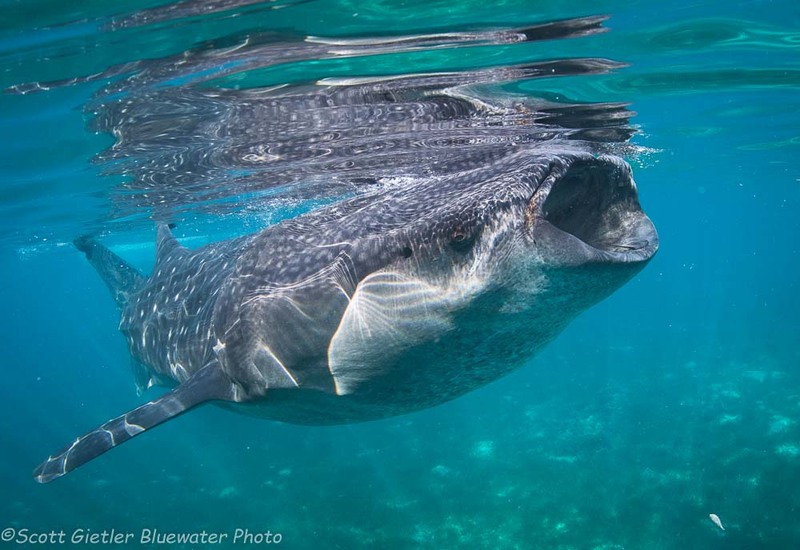 Other operators will take snorkelers way off Isla Mujeres to clear blue water, where whale sharks and mantas feed on bonito eggs after spawning events. 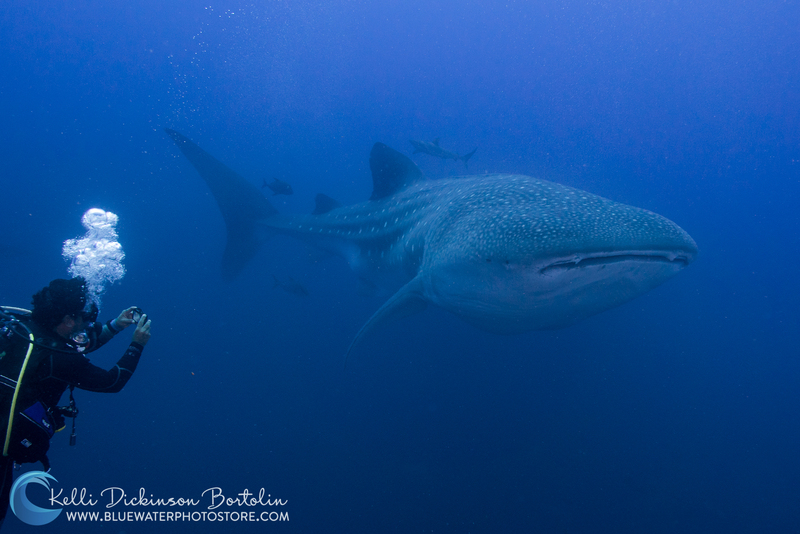 A reliable place to encounter Whale Sharks, especially in the fall and winter months. We are fans of visiting La Paz in October and November when the water is warmer and the Whale Sharks are busy feeding on plankton. A visit in the winter means cooler water temps and less visibility, but also the possibility to see grey and humpback whales. Fisherman in the town of Tan-awan have lured in whale sharks by feeding them shrimp and have turned them into a popular tourist attraction. A very reliable place to encounter a whale shark. Permalink Submitted by Terri Allen on Thu, 04/11/2019 - 13:50.